This Extreme Saribung Trekking and Peak Climbing is newly discovered trekking route in 2006. 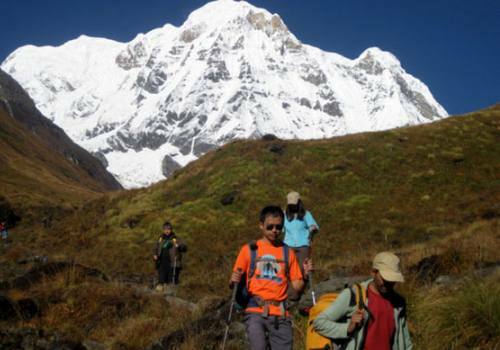 It is challenging and very popular trekking trail with beaten track and demanding pass. 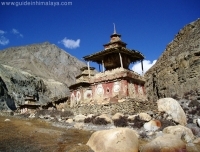 Saribung is situated in isolated part of Mustang region of Damodar Himal, close to the border of (Tibet). The trail is rugged, cutting high into cliff sides and passes villages that have changed little over the centuries. Saribung Trek can be done in anti-clockwise for which the trek start from Nar-Phu “a hidden valley” and then ascend to Saribung pass and enter in the Mustang " known as little Tibet in Nepal" and down to Jomsom or clockwise for which the trek start from Jomsom and follow Upper Mustang trail and descend to Nar-Phu valley and Besisahar to end. For climbing Saribung peak, it is easy to do Expedition but there are many passes with ice and creases in between the Damodar Kunda region and Nar-Phu valley. The trek starts from one place to another with great sceneries, cultures, religion and geographical variations. 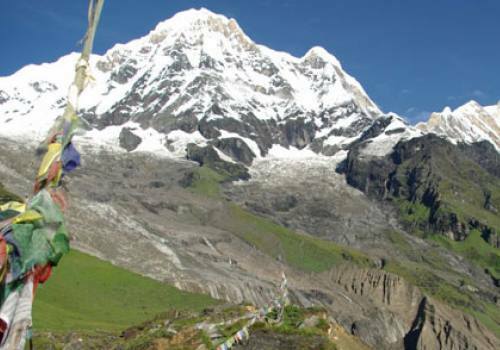 And so trekkers can enjoy the fantastic and picturesque views of diversity in this region. 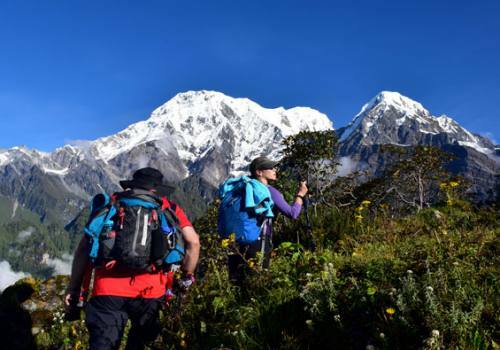 Saribang trekking and expedition will start from one region and end another trekking region by enjoying scenery, religions, geographic elevation and will cross the challenging pass near Saribung Peak/6346m. 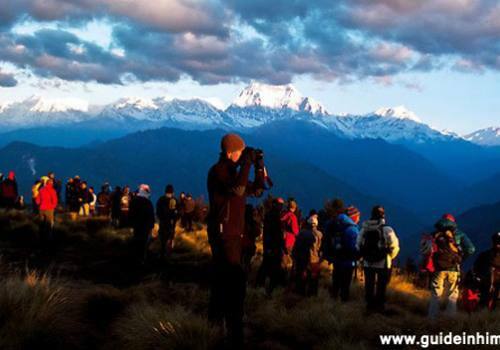 The trekkers and climbers really enjoy its fantastic and pleasing views of Himalaya and beyond. During the trekking, trekkers meet different villages, monasteries, culture and religion of Tibetan style every day in Upper Mustang and Nar Phu area. The main important thing is spectacular mountain scenery, which will see from the top of Mt. Saribung. This trek will be trip of 21 day if we don’t climb Saribung Peak as per original we provided. Catch tourist coach, passing by the Trisuli Riverside, about 7 hours to Pokhara from Kathmandu which is some 200km. Short-sightseeing in Pokhara with your guide. Stay overnight in Hotel. 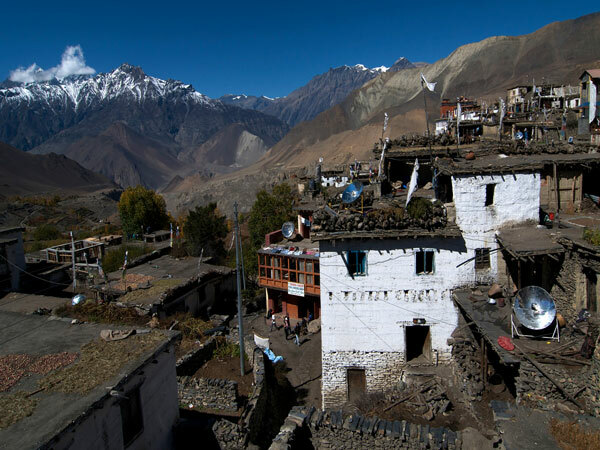 Day 02:Fly to Jomsom and trek to Kagbeni (2800m); 3-4 hours walk. Early morning, we go to the airport by taxi and we fly to Jomsom and have breakfast. Then we start our trek passing the river bank of Kaligandaki until we reach Lubra where we visit the Bon-Po monastery. It takes about 3 hours. After lunch, we continue to Kagbeni which takes about 1 hour. We can visit the red-painted Gompa which is said to be about 1000 years old. Day 03:Trek from Kagbeni to Chele (3030m); 5-6 hours walk. Hike to Tsaile and we register our Restricted Area Permit Kagbeni. Then the route continues passing the river bank of Kaligandaki. Repeating small ascents and descents until Tangbe. We can see beautiful landscapes and the Buddhist influence like Chhörtens , Maniwalls. Then we continue our trek for 1 hour to Chhusang village passing over a rocky trail. We have our lunch break in this village. After lunch, we continue trek and we cross over an iron bridge where the Kaligandaki River runs through a tunnel naturally built in a huge rock. It takes about 1 hour. Later we can see 16 caves above the tunnel. We walk up a steep ascent untill we reach the village of Tsaile which takes about 30 minutes. We have a good view of Nilgiri Himal and the Kaligandaki River. Day 04: Trek from Chele to Ghiling (3440m); 6-7 hours walk. We climb up an unstable path and arrive at a plateau. We keep ascending the gentle slope and later we climb steep cliff way and arrive at a small pass. We keep gently descending to Samar village. It takes about 2 and half hours. We have lunch break here. After lunch, we leave the village and keep on going up and down until we reach the Chungsi cave monastery. It is an incredible place and we enjoy the strong spiritual environment. It is a steep ascent about 1 and half hours. 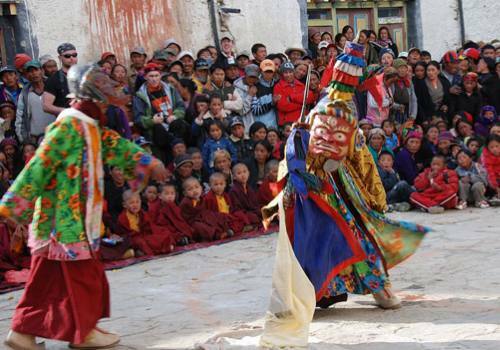 We visit the monastery where Guru Padmasambhava meditated in 8th century. Then we continue our trek passing narrow way between two big huge rocks. It takes 1 and half hour to reach Syangmochen village. Again we climb up until we reach a small pass. After a you gentle descend we reach the village of Ghiling. We see a big Chhörten and two Gompas whose walls are notably painted in red. Day 05:Trek from Ghiling to Charang (3490m); 6-7 hours walk. We keep on walking ascending gently until we reach Zaite village which takes about 1 hour. After the village a long ascent awaits us to Nyi-La 4020m. We cross over this pass entering the center of Mustang which is called the Lo region. Then we keep gently descending to reach a small pass again. After that pass it really goes steep down in a crisscross way to Ghami village. It takes 2 and half hours. We have lunch break. After lunch we walk again through Nepali flat which means down and up and finally crossing the small stream. We can now see the longest Mani Wall in the Mustang region which is painted with vertical stripes of white, red and black. Then we have again a long steep ascent to a small pass and descend gently to Tsarang village. It takes about 3 hours. We can see a big huge Chhorten in the entrance of village, an Old Palace and Tsarang Gompa which we will visit in the evening. Day 06:Trek from Tsarang to Lo-Manthang (3740m); 5-7 hours walk. We follow the upper trail which allows us to explore the Lo-Gyakar-Ghar Gompa, following the river side trail to Marang village, then we cross the River on a suspension bridge and continue to Ghar Gompa which takes about another 1 and half hours where we visit the Gompa. 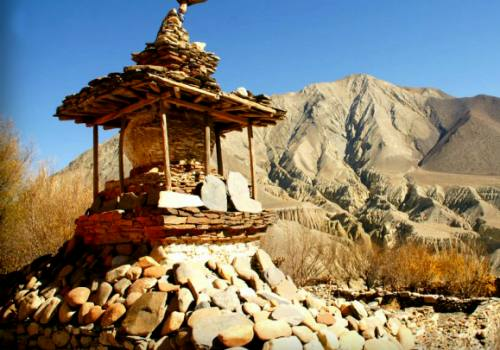 It is one of the oldest Gompas of upper Mustang. It was built by Guru Padmasambhava, the founder of Tibetan Buddhism in the 8th century. After visiting the monastery, we continue our trek crossing the small river and keep walking on the plateau and where we have at some point our packed lunch. After lunch, a long gentle ascent continues to reach Chogo-La 4230m which is the highest point in this region. Then we keep descending to Lo-Manthang which takes about 4 hours. Now we are in the ancient wall city of Mustang. 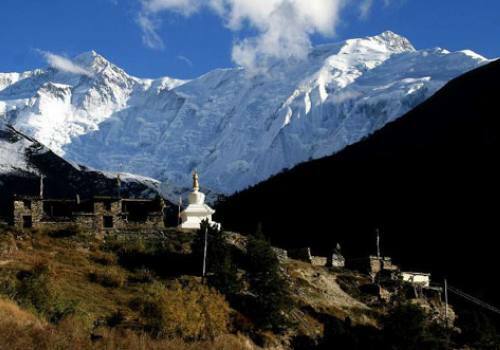 Hike to Chhoser 7-8 hours or hike to Namgyal monastery 2-3 hours. Today, we have 2 options to explore the forbidden kingdom, visit Chhoser village and another to explore Namgyal Monastery. Both are significant hikes. If we decide to go to Chhoser, we can visit many caves and a cave monastery. We need to carry our packed lunch for hike. Day 08:Trek from Lo-Manthang to Yara (3900m); 6-7 hours walk. Leave the village and keep by gently ascending going until we reach Day-La which takes about an hour. This is the last point where we can see Lo-Manthang. After 3 hours we reach Dhi village then we descend for about 1 hour down where we have lunch break. After lunch we pass the small stream and make a short steep climb to Yara village. It takes about 1 and half hour. We can see innumerable caves at the stone walls. Stay overnight at tented camp. Day 09:Trek to Luri Cave Monastery (4005m); 3-4 hours walk. Trek to Luri Gompa. We continue through the river route to Luri cave Monastery which takes about 2 hours. There are actually two monasteries. First we visit one which is situated below of Luri Cave monastery. Then a short steep ascent brings us to Luri Cave Monastery which takes us about 30 minutes. 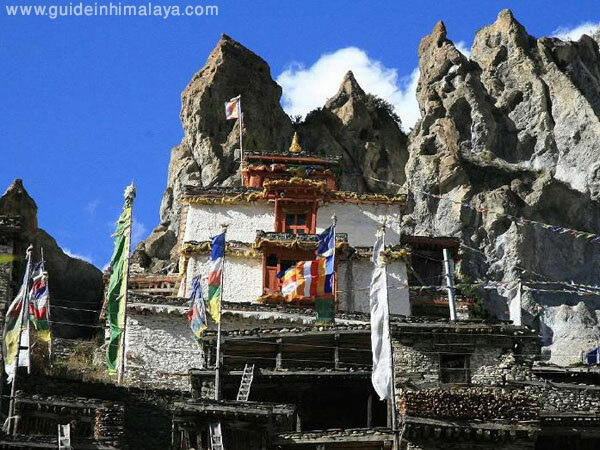 This is the oldest and most famous cave monastery in the Mustang region which was constructed in the 15th century. It is situated at an elevation of 4005m. Inside the cave we can see a big Old Chhorten and many images and statues of Protectors and Deities. There is an also highly sacred religious text which is always closed. Day 10:Trek to Ghuma Thanti (4600m); 5-6 hours walk. We follow the barren valley after crossing 5100meter pass; today we prepare pack lunch due to no appropriate cooking possibilities on the trek. Day 11:Trek to Namta Khola (4890m); 7-8 hours walk. In this day, we start after breakfast, the trail continues with ups and downs. After crossing another 5600meter pass we will reach High Altitude Damodar Kunda. We need to make lunch pack due to no appropriate cooking possibilities in the trail. We continue to Namta Khola after passing Lake. 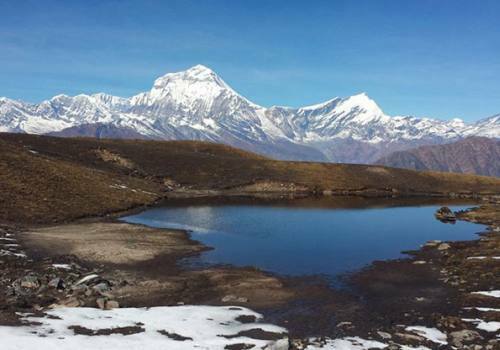 Day 12:Trek to Saribung Base Camp (4950m); 6-7 hours walk. Today is free day for exploring the surrounding hills and acclimatizing to high altitude for the further expedition. Day 14:Trek to Camp I (5730m); 5-6 hours walk. In the morning, after breakfast, trek to Camp I, the trail is very hard because of the snowy. We will climb up very slowly with gaining altitude. We need to make lunch pack due to no appropriate cooking possibilities in the trail. early in the morning, wake up and start to climb up to Summit of Saribung and back to base camp. Early morning after breakfast, we will traverse over the Saribung pass and trek steep down through the snowy trail and follow the small stream until reaching Nagoru. We need to make lunch pack due to no appropriate cooking possibilities in the trail. Day 17: Trek to Phu Gaon (4080m); 5-6 hours walk. We will start our trek from our camp and walk on the Tibetan plateau and barren valley viewing very good view of snowy peaks until reaching Phu Gaon. Now we are in one of the unique Lost/ Hidden Valleys. 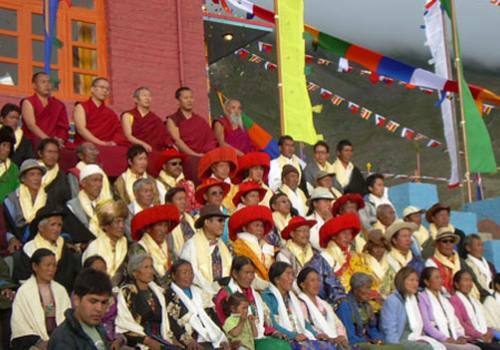 We can see their cultures, natural diversity, and religion of the ethnic groups like Lama, Gurung and Ghale. The people are depending on subsistence agricultures, animal breeding and seasonal migrations. The very old Buddhist Monastery known as Tashi Lakhang Monastery is listed out of the 108 world’s great Buddhist Monasteries; it is believed to be the last monastery constructed by Karmapa Rinpoche. 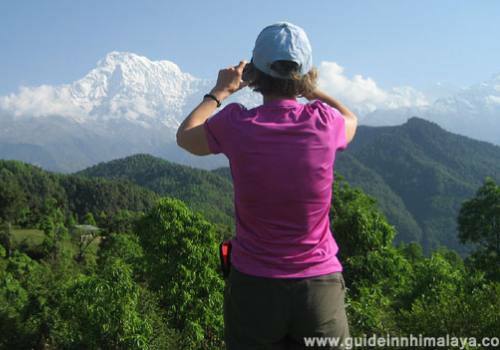 We have a great view of Himlung Himal and other snow peaks. Day 18:Trek to Meta (3560m); 5-6 hours walk. Morning after breakfast, we will walk on the Tibetan plateau and pass the kani/gate end of the village and drop down in the narrow valley and arrive in Kyang where we just see the remnants, particularly the ruined forts of the Khampa settlement (the place which Khampa refugees from Tibet once captured and lived illegally) at places like Jhunam, Chyakhu and Kyang. Then we continue the trail until reaching Meta. 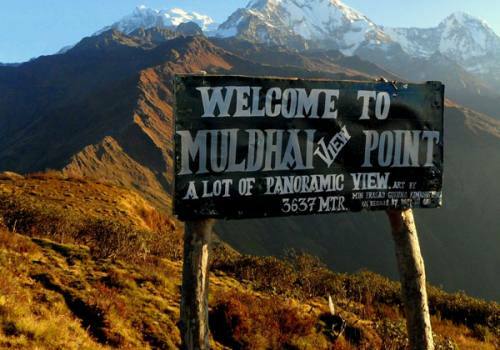 We can see the very spectacular view of Annapurna II and Lamjung Himal. Day 19: Trek to Koto (2600m); 6-7 hours walk. We trek steep down for the while and walk through the pine forest passing many streams and picturesque water fall near the Dharmashala. We cross over the many suspension bridges and arrive in Koto after 6 hours. Day 20: Trek to Dharapani (1860m); 5-6 hours walk. The trail passes small villages until Timang through the Pine forest which takes about 2 hours. We can see short glimpse of Mt. Manaslu and other snow peaks and drop down to Danque through the knee crunching trail and have a lunch. After lunch, walk on the level and flat trail until reaching Dharapani. It takes about 2 hours. 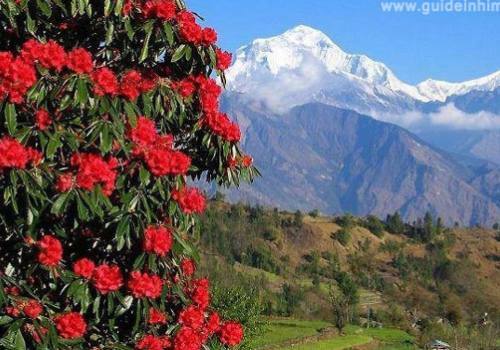 Drive back to Besi Sahar and connecting local Hiace Van drive to Kathmandu passes beautiful landscapes and picturesque villages. The views of mountains are spectacular during the driving and transfer to in Kathmandul. Airport shuttles in Kathmandu airport. Tea, coffee, cookies and hot water during the trek. Camping gears: Tents for guests, Nepalese staffs, Kitchen, Dining and toilet. 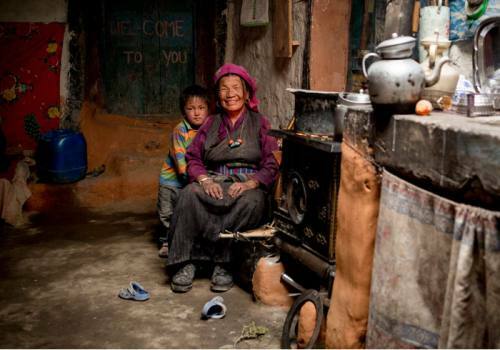 Guide, cook, Sherpa and necessary porters and their salaries, insurance and equipment charge. Tented accommodation for all during the climbing period. 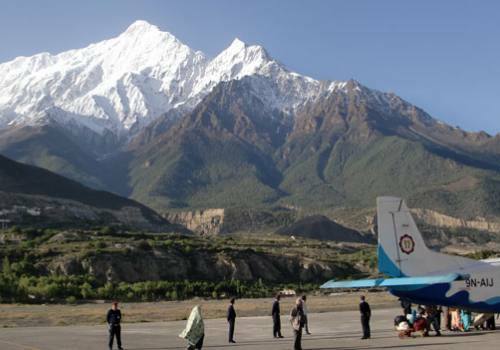 All the domestic flights (Jomsom/Pokhara) and airport tax. All necessary trekking permits for Saribung Pass Trekking. Climbing Sherpa’s Equipment Charge and Insurance. All Ground transportation during the tour in Nepal. 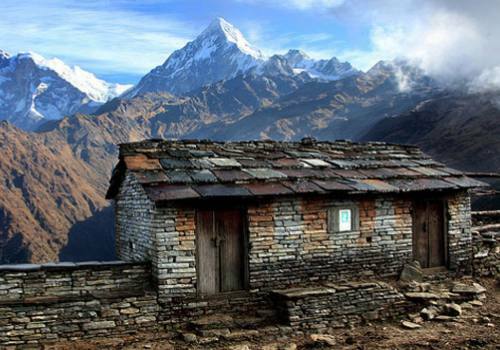 Nepal Tourist Visa fee, Items and expenses of personal nature. Personal trekking equipments, Emergency Rescue evacuation in case of emergency. Horse renting and additional porters during the trek, Tips for guide, porters, driver.